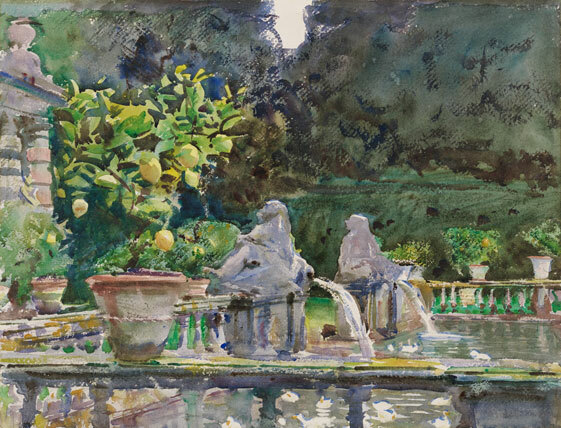 John Singer Sargent was an American artist, considered the "leading portrait painter of his generation" for his evocations of Edwardian era luxury. January 12, 1856, Florence, Italy. January TWELFTH the Day of the WILD CALL: Those born on January 12 are inevitably drawn toward an all-involving professional life. Their career or life interest usually exerts its hold on them in their twenties and they are capable of sacrificing a great deal for it, particularly in terms of personal, inward growth. They see their lives as dedicated to serving others, but in fact they are drawn to excitement and adventure of all sorts, which may not include others, in a personal sense. Once they become obsessed with their calling, they follow wherever it leads them. ADVICE: Pay more attention to your personal life and maintain a strong ethical code. Remember to listen to others. Beware of arrogance or condescension. Don't go off the deep end professionally. Your work is only one part of your life. BORN ON THIS DAY: Jack London, Jeff Bezos, Christiane Amanpour, Edmund Burke, James L. Farmer, John Singer Sargent, Rush Limbaugh, Joseph William Frazier, Howard Stern, Herman Goering, Henny Youngman, Tex Ritter, Kristie Allie; Source: The Secret Language of Birthdays, Gary Goldschneider & Joost Elffers. MEDITATION: The biggest calling, perhaps, is to be true to oneself. TWO of Spades: The Friendship Card: The Two of Spades is the card of work partnership and friendship. 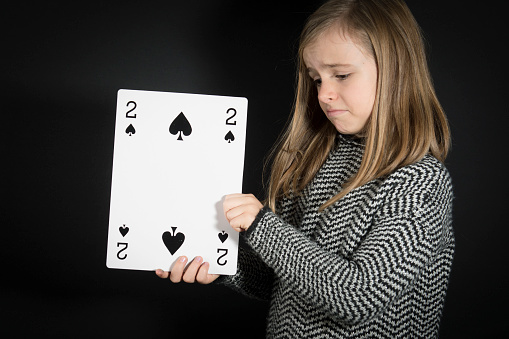 Two's are also fear cards, and it is their own spiritual natures that often scare the Two of Spades. The displacement and Karma Card, the Six of Spades, speaks of karma to be paid in this life time, often in the form of work or health difficulties, while the placement of the Two of Spades in the Natural Spread at the Uranus/Uranus position tells us that they have strong institutional gifts. The double sixes in the Venus and Mars positions tell us that the Two of Spades often get into ruts in their family lives and work sphere. When they fight this monotony, there can be frustration. They have strong mental powers and strong intuitive powers and both of these can make them money. They are very congenial and have success in social situations but their Three of Hearts Pluto Card speaks of some indecision both romantically and in general that can plague them throughout their life. Overall they have an easier life path than most and should not let themselves let that ease turn to self-indulgence. Often they marry into money. Your Karma Cards are the: Six of Spades - You owe something to this person and they reflect you in some way. King of Clubs - This person owes you and you are their mirror in some way. TWO of Spades Birthdays: January 12 Capricorn III, Feb 10, Mar 8, Apr 6, May 4, Jun 2. FAMOUS TWO of Spades Rush Limbaugh III is an American entertainer, radio talk show host, writer, and conservative political commentator. Since he was 16, Limbaugh has worked a series of disc jockey jobs. January 12, 1951 (age 63), Cape Girardeau, MO. FAMOUS TWO of Spades: Rush Limbaugh, Joe Frazier, Kirstie Alley, Laura Dern, Bertolt Brecht, Jimmy Durante, Aidan Quinn, Freddie Prinze Jr., James Van Der Beek, Butch Cassidy, Candace Cameron, Lowell Thomas, Audrey Hepburn, Stacey Keach, Charlie Watts, Jeff Bezos, Hedda Hopper. Source: Robert Camp's Love Cards. 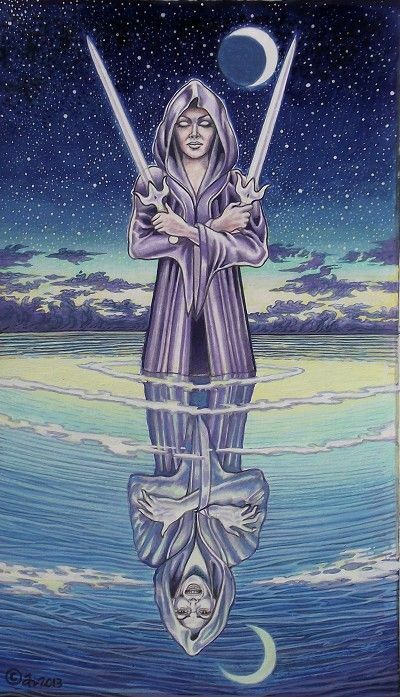 CAPRICORN III - The Week of DOMINANCE - January 10-16: Many Capricorn III's find it unnecessary to rise to the top of their field, or even to lead, as long as they can express their dominance within the day-to-day dynamic of their family, work or social group. 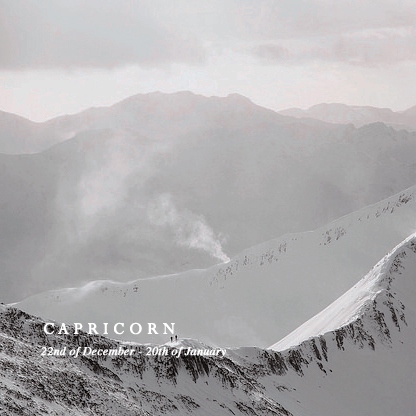 Although ambitious types may well be born in this week, Capricorn III's often reach a certain level in their particular circle and are content to stay there for the rest of their lives. They have tremendous diligence and dedication, which enable them to stick to the path they have set for themselves without being sidetracked. Advice: Don't be afraid to take chances. If you do not dare to fail you may not achieve your true heart's desire. Your insistence on security may be misplaced at times. Try to be more flexible where the feelings of others are concerned. Don't assume that your values have absolute or universal application. 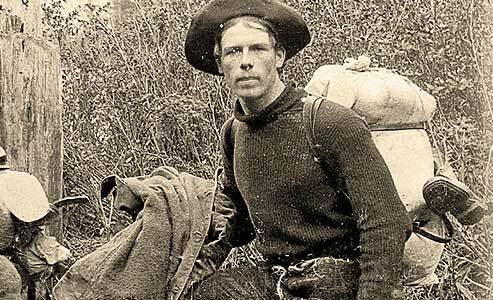 CAPRICORN III NOTABLE: Jack London, John Griffith "Jack" London was an American novelist, journalist, and social activist. A pioneer in the world of commercial magazine fiction, he was one of the first writers to become a worldwide celebrity and earn a large fortune from writing. January 12, 1876, San Francisco, CA. CAPRICORN III NOTABLES: Faye Dunaway, Christiane Amanpour, Jack London, Aristotle Onassis, Martin Luther King, Jr., Albert Schweitzer, Alexander Hamilton, George Foreman, Joan of Arc, Jeff Bezos, Gamal Abdel Nassar, Edward Teller, Maharishi Mahesh Yogi. Source: The Secret Language of Relationships, Gary Goldschneider & Joost Elffers.